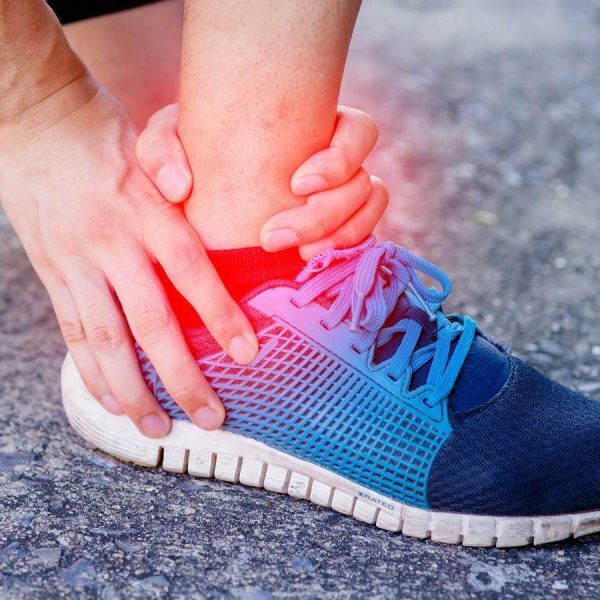 Last week a paper was published in the BMJ which may change the way we manage the most common type of ankle fracture, the Weber B. For a long time the established practice has been immobilization below the knee of the affected ankle for 6 weeks. On the whole this strategy has many favorable outcomes, the primary being successful union of the fracture. As with any intervention there are unfavorable consequences too and in this case these are DVT and prolonged ankle stiffness. Therefore there is room for improvement in this common conservative management approach and this is what this research team set out to investigate. 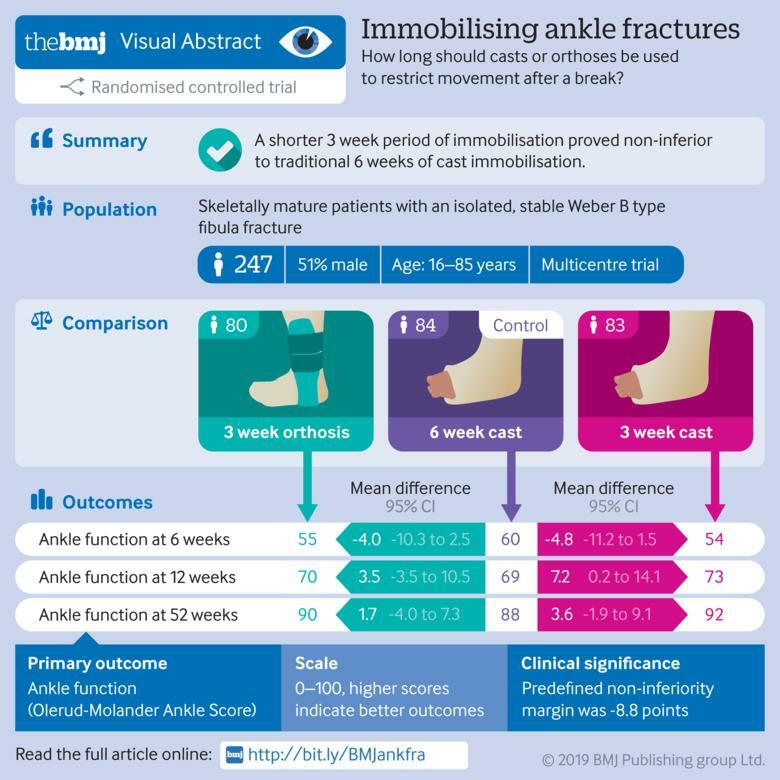 The study design was a cleverly designed, non inferiority RCT comparing traditional immobilisation by cast for six weeks (n=84) with immobilisation for three weeks using either a cast (n=83) or an orthosis (n=80). The study took place at two trauma centres in Finland and included a total of 247 patients. The participants were all over 16 years of age and had an isolated Weber B type fibular fracture and congruent ankle mortise (medial clear space <4 mm and ≤1 mm wider than the superior clear space) as seen in their x-rays. The stability was confirmed by fluoroscopy. Once in their treatment groups the participants didn’t receive much intervention at all; instruction from a physio about crutch use, information about dealing with a fracture and clearer instruction for the orthosis group was given (as it was a little more technical). The outcome measures used were the OMAS scale, the FAOS, the VAS, the RAND-36, ROM and further imaging. These were all performed periodically throughout the 52 week trial period. As with any non-inferiority trial there will be speculation about the margin of comparison to current practice. This study did raise the validity by choosing a very appropriate target. In terms of the results the study suggests that 3 weeks of immobilisation by cast or orthosis was non-inferior to 6 weeks in a cast. Of course many more studies of higher rates of participation will need to take place before there is a large shift in practice. It wouldn’t be a surprise to see some smaller practice changes off the back of this trial.